As most of you know our farm is located in the central Ohio area. And this time of year, there is only one thing that happens on a Saturday afternoon that stops all activities – Ohio State Football! Ohio State the letter ‘M’ ahead of Saturday’s game. Every year in late fall, we play the team ‘up north’. Yes, the die-hard Buckeye fans won’t even say the name of the team that we play at the end of ever year (Michigan). In fact, during the whole week they play, the Buckeye Nation even crosses out every letter ‘M’ that is printed on The Ohio State University’s campus. Many people have asked about our nickname – The Buckeyes and what it exactly is. For those that don’t know, a buckeye is a poisonous nut that falls from the Buckeye Tree. Which makes for a pretty intimidating mascot, right? There is also another Buckeye representation that is much more appealing to most of us -Buckeye candy! These small peanut butter balls dipped in chocolate are made to resemble the nut that falls from the tree, and of course, are safe to eat. Who can resist taking that first bite into a thin chocolate layer and ending with a smooth creamy peanut butter center? They are absolutely delicious and irresistible and make any football game, that much better. Don’t forget – they also are a great addition to cookie trays, dessert tables, and of course tailgate parties! 1. Mix first 3 ingredients thoroughly until it resembles cookie dough. 4. 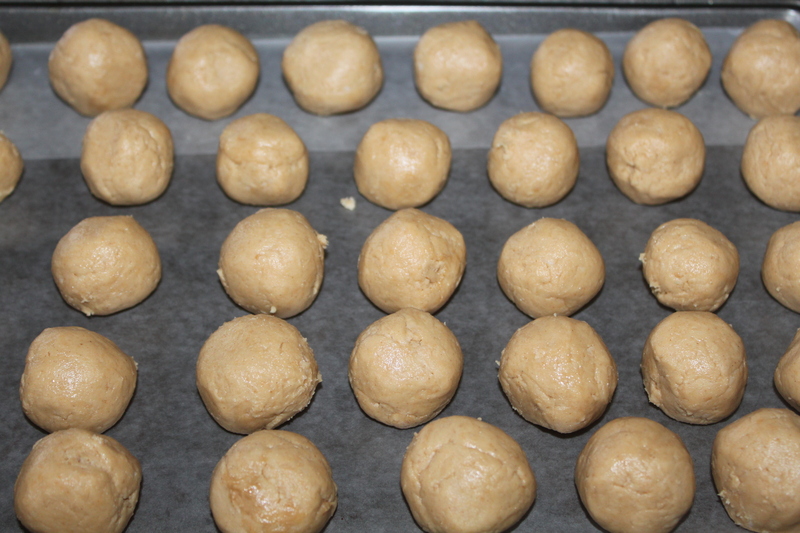 Place balls in the freezer to chill for 15-30 minutes. 6. 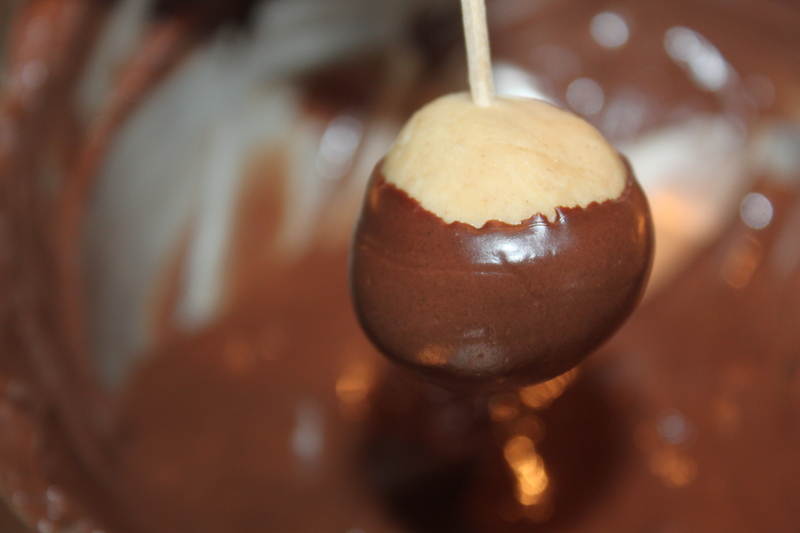 Dip peanut butter balls into melted chocolate using a toothpick. 7. 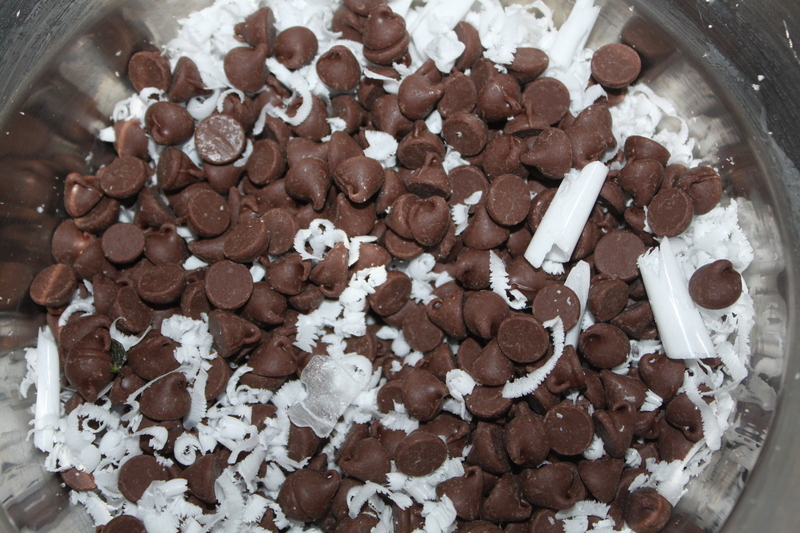 Place covered balls onto wax paper baking sheet then place in the freezer to chill/harden. Store in a covered container in the refrigerator/freezer. 1. 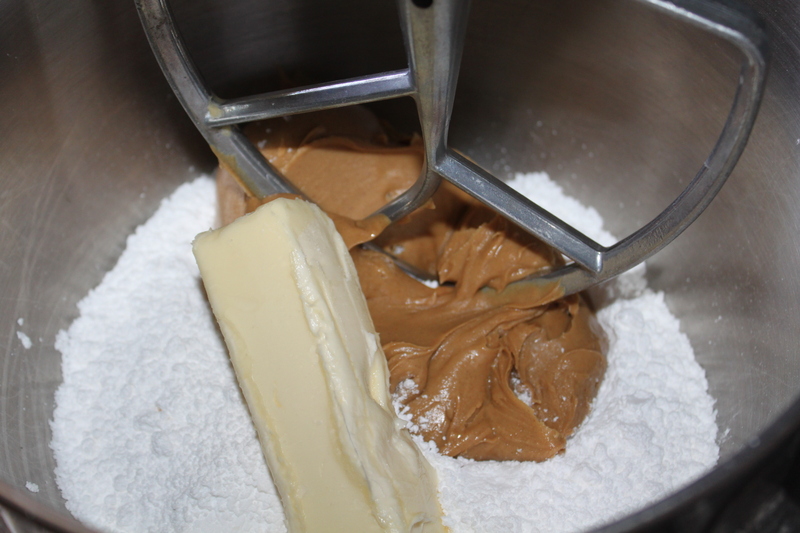 Mix first three ingredients thoroughly until it resembles cookie dough.